Fuel Tank Replacements are the fuel storage tank and oil tank replacement company to trust in Southern England. With customer service our number one priority, our team complete all replacements with a high-quality guarantee at the most competitive prices. Our service includes old tank removals as well as servicing any oil-fired boilers. 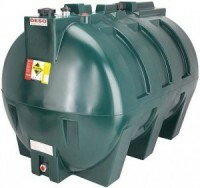 Please view our range of bunded and single skin tanks. We exclusively use OFTEC certified Deso tanks which comply with the latest Environment Agency Regulations. All tanks are supplied with aluminium outlet extensions which offer fantastic protection against leaks. Each tank undergoes rigorous testing before installation and covered under a 10 year guarantee. Following the new environment agency policy that all fuel storage tanks kept above ground holding more than 200 litres of oil must be bunded, we have introduced a new range of bunded oil tanks for this purpose. Our tanks are fully compatible with overfill alarms and the latest low level overfill alarms which we can provide when requested. The tanks are manufactured using high grade polythylene.